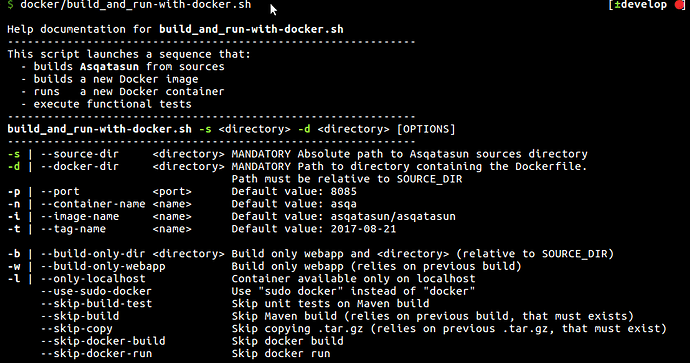 How to build the development environment of Asqatasun? "I am a JAVA developer from China. I am focused in accessibility testing according to WCAG2.0 stantard. I have pulled the Asqatasun develop branch from github, but I found that I can’t build the develop environment. Is there some documents about it? At the first step, download the maven dependencies failed. Are there some jars I can’t download from website? Thank you very much. " The email is from my email. Thanks for submitting my question to the Forum. WINDOWS7+Tomcat7+jdk7. I set up the develop environment in my WIN7 computer. I can log the system now, I but I can’t do the whole site audit. What else should I install on my Windows7 computer? For the Audit Pages with uploaded files, the page finally return me an error. I debug the source code, it returns error at AuditLauncherController.java method preparePageAudit() line 251. Do I miss config something? Audit type is Audit Pages with uploaded files, where to config the url? I am confused. When I debug the source code, I also can’t find the code auditSetUpCommand.setUrlList(). Also, we deploy the environment on our linux OS. Do we miss something too? Thanks for your reply, I have solved the issue.